This is a detail shot taken before the valance was installed. 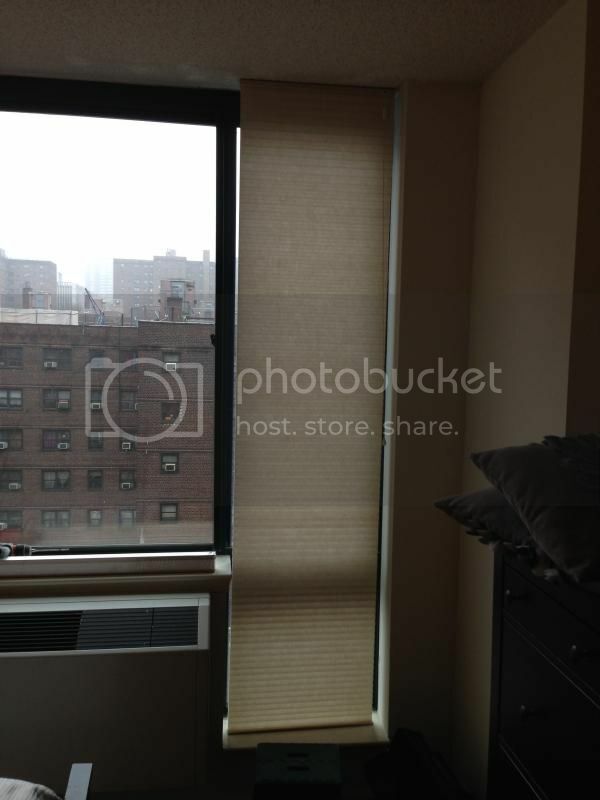 This corner window overlooks the corner of 24th street and 9th avenue in Chelsea. Last edited by infoshare; November 28th, 2015 at 02:22 PM. Nice light coming through even when closed. Yes, but oddly enough, that is often a problem. 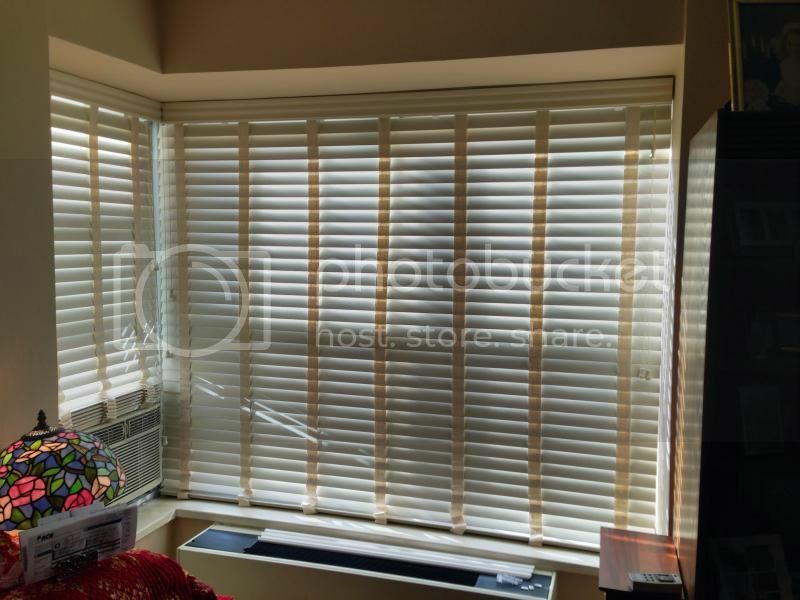 I have had to remove many of these types of Horizontal blinds because people were under the impression that they would be totally 'light-blocking' when the slats were in the down position: as you can see, that is not the case. 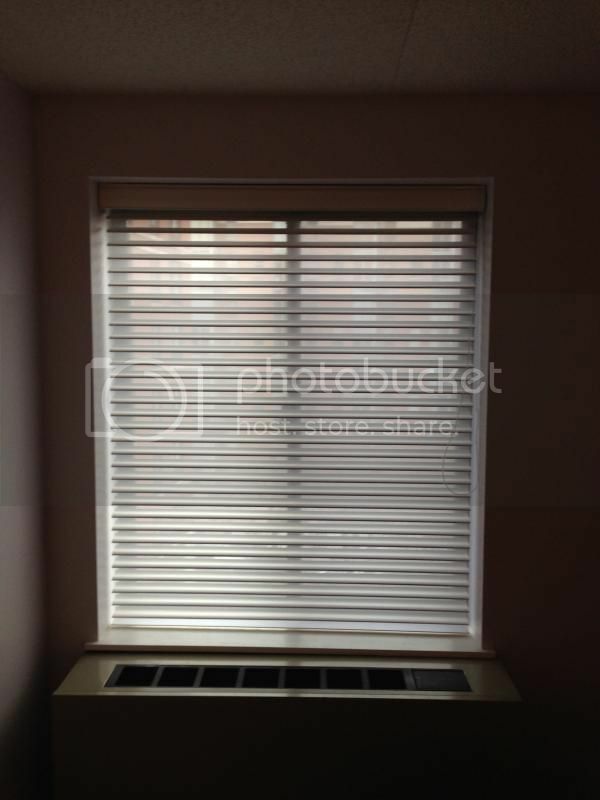 The problem sometimes is that in NYC apartments there is a lot of of ambient light coming from signage, other apartments, street lights, etc: so if you want a really dark room, particularly bed rooms, these blinds will not be the right choice. 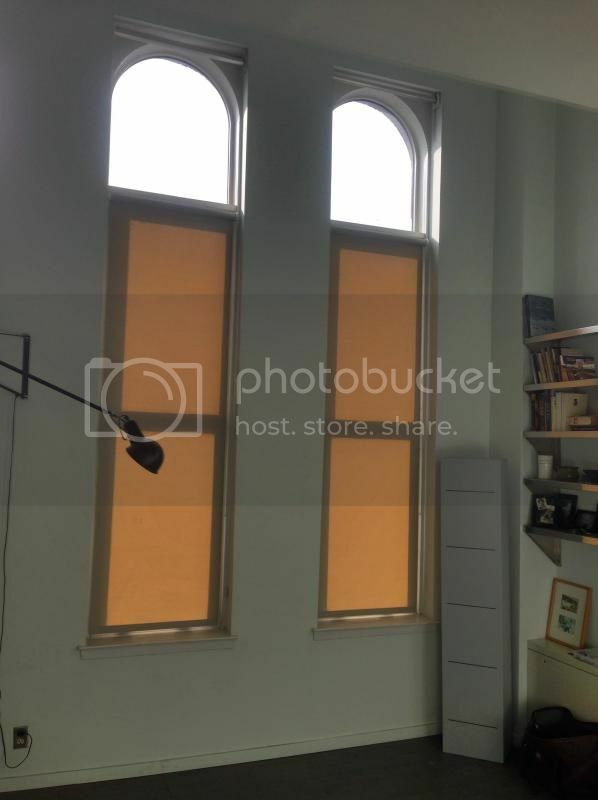 I like the 'traditional look' of these blinds, they add a lot of character to a room: but not the best look of 'modernist' interiors - which are a lot more common in NYC from what I am seeing. 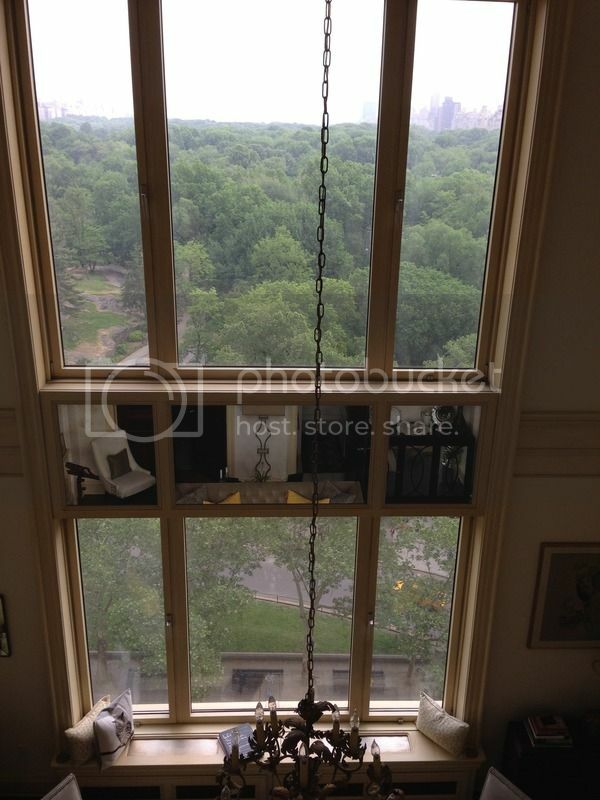 Inside looking out: Central Park West & 92nd Street. 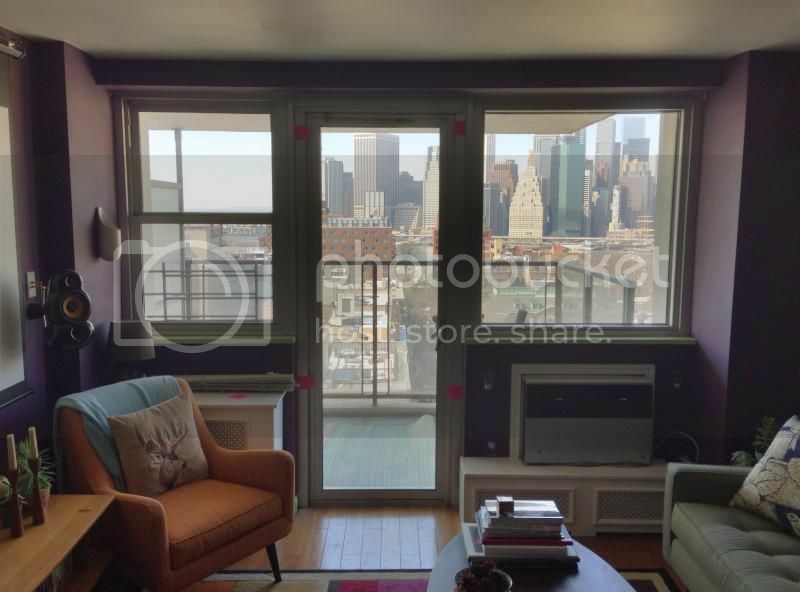 Soon the lucky owner of this apartment will be able to make this view of 432 Park Avenue go away with the simple pull of a cord: BLACK OUT roller shades in store for these south facing terrace window and door. Please do check back for the 'after' picture when the new shades are installed. Last edited by infoshare; November 28th, 2015 at 02:21 PM. 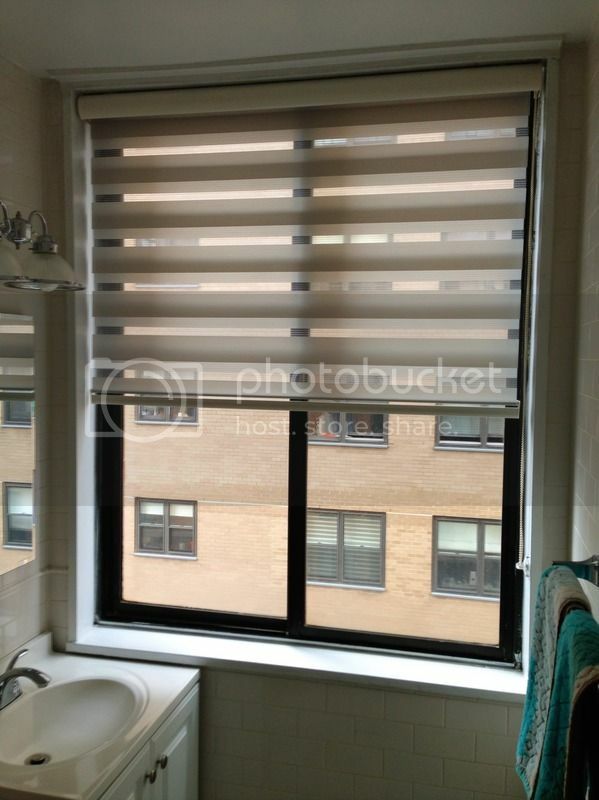 These lovely cell shades have been fitted out in one such high priced condo apartment that had a little ‘luxury problem’ that needed fixing; an unsightly view into an inner courtyard - yet natural light was much needed while blocking that unwanted view. 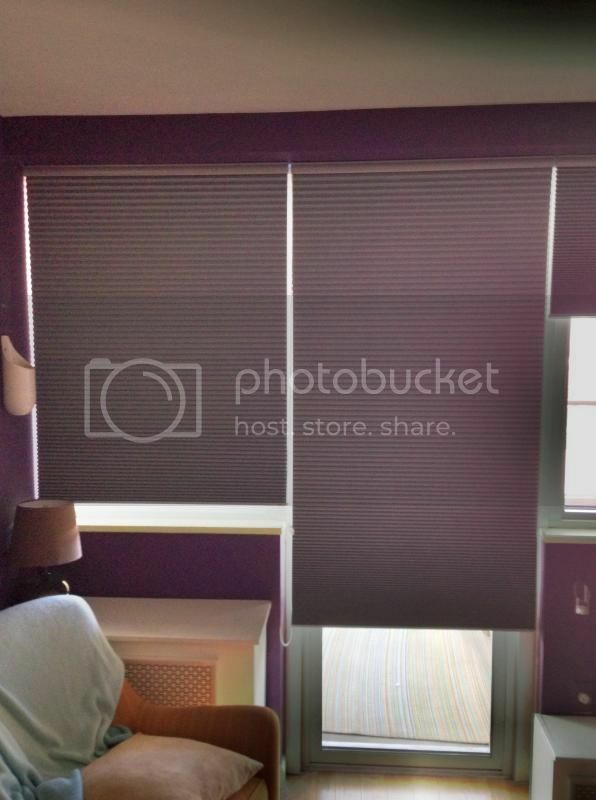 The answer was these ‘light filtering’ cellular shades. They are pretty to look at, they provide both privacy and natural light - and block that unwanted view to the outside courtyard. Last edited by infoshare; March 30th, 2016 at 07:21 PM. 432 Park: now you see it, now you don’t. Sometimes the disappearance is due to the blackout shades, sometimes it is the fog, other times it is the dead of night - whatever way it happens, this view of 432 Park comes and goes….. 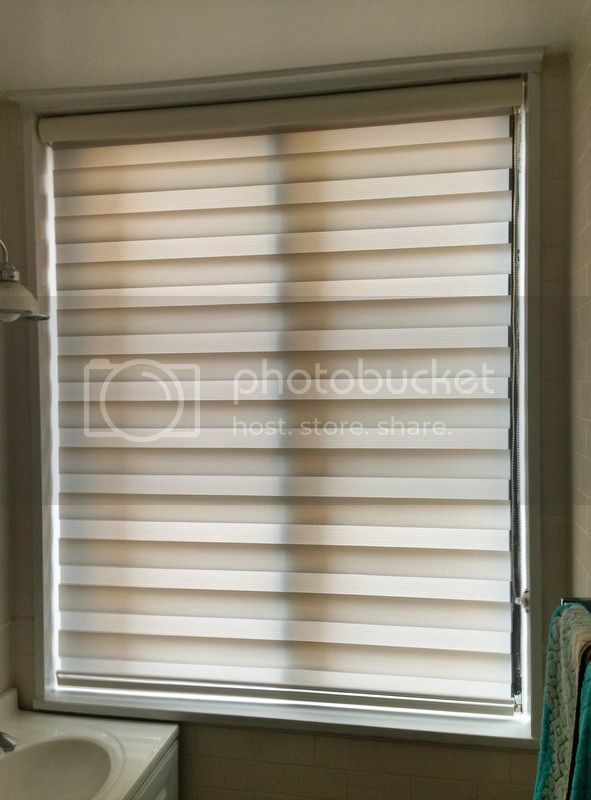 These blackout shades actually let in a lot of light between the gap in the two shades, and the gaps on the side: but it can’t be done any tighter - it is due to the bracket hardware, and the factory fabric recess on the roller. 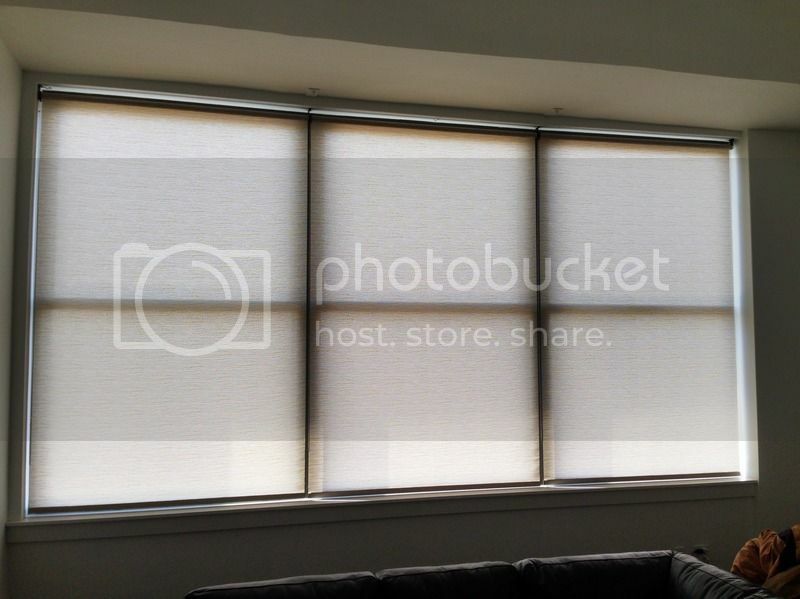 So, that is as good as it gets when it comes to blocking light with a roller shade. Last edited by infoshare; March 30th, 2016 at 07:20 PM. Whoops - wrong sizes, mismatched colors. Expensive mistakes here on 63rd Street and West End Avenue: looking north on 63rd Street. Last edited by infoshare; March 30th, 2016 at 07:19 PM. Battery park sheer shades. 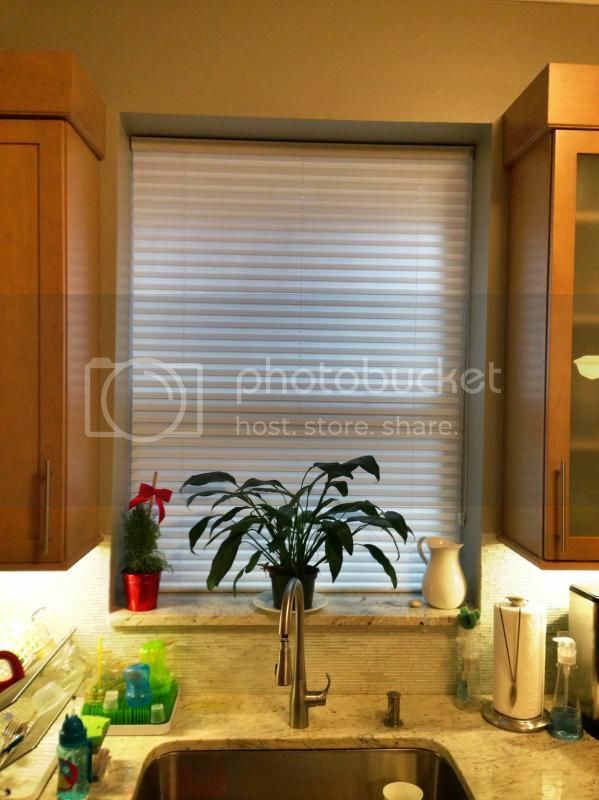 These shade offers light filtering, day time privacy, and views: but no nighttime privacy when the slats are in the open position. 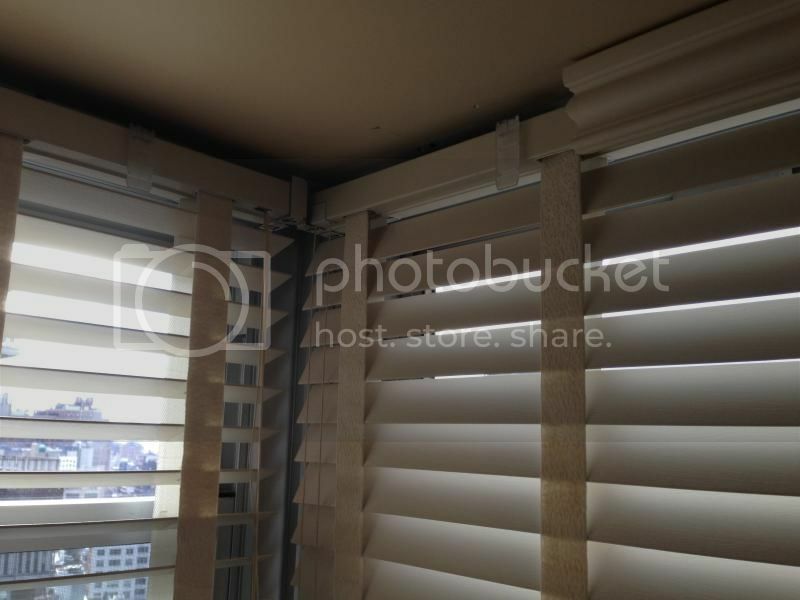 With the slats down, you get day and night privacy: but no views outside, and very little light coming inside. When the shade is rolled up completely: full view, full light - but not privacy. 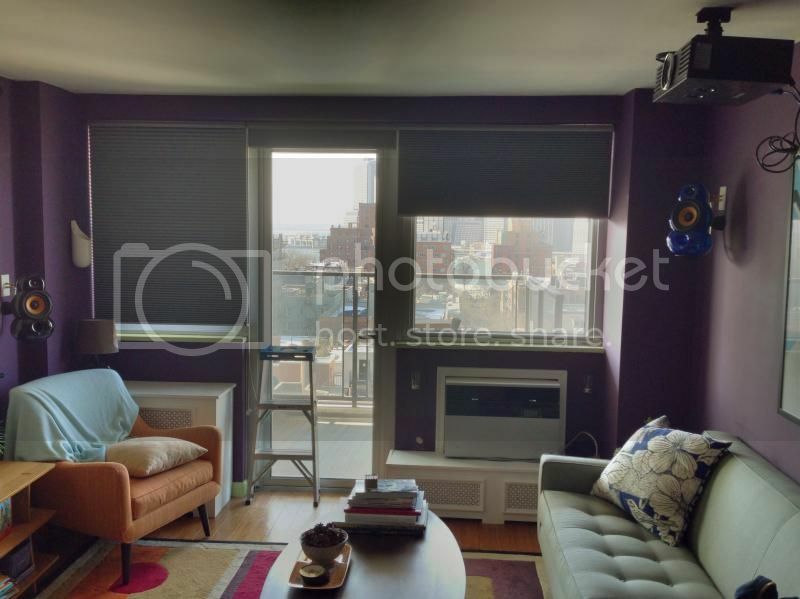 This one bedroom apartment on South End Avenue and Rector Place got a major interior design upgrade with these new sheer shades. 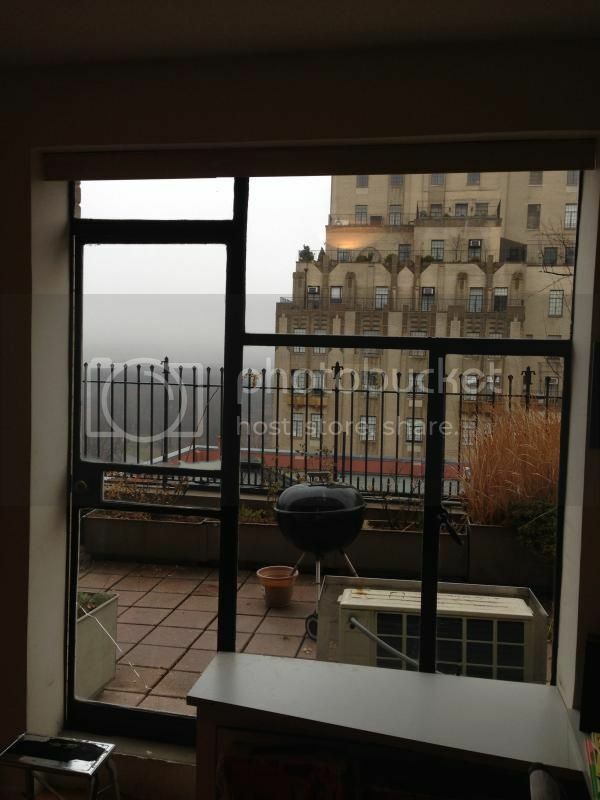 Just ask for the window whisperer……. Last edited by infoshare; November 28th, 2015 at 02:20 PM. 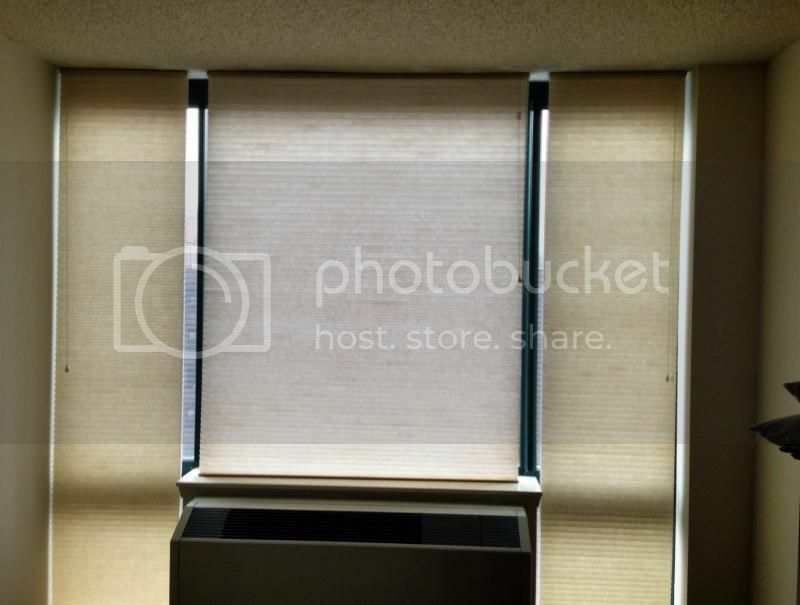 This is a solar roller shade with a 1% openness factor, which offers very faint ‘see through’ but good light/heat blockage. You would not know from looking at this photo, but those windows are almost 14 feet off the floor. 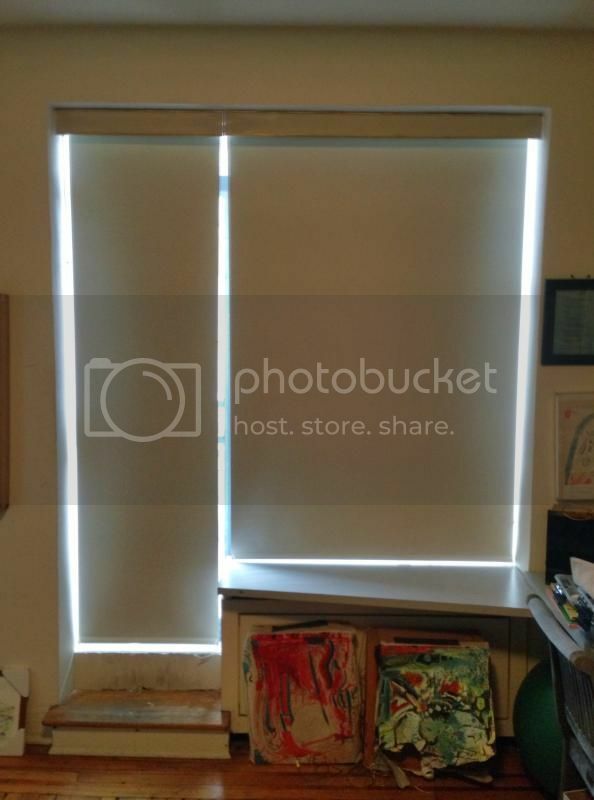 The roller shades were not installed to the full height because very long/very narrow roller blinds will tend to ‘telescope’ and bind-up on one side or the other against the bracket: so this was the ‘functional’ solution. 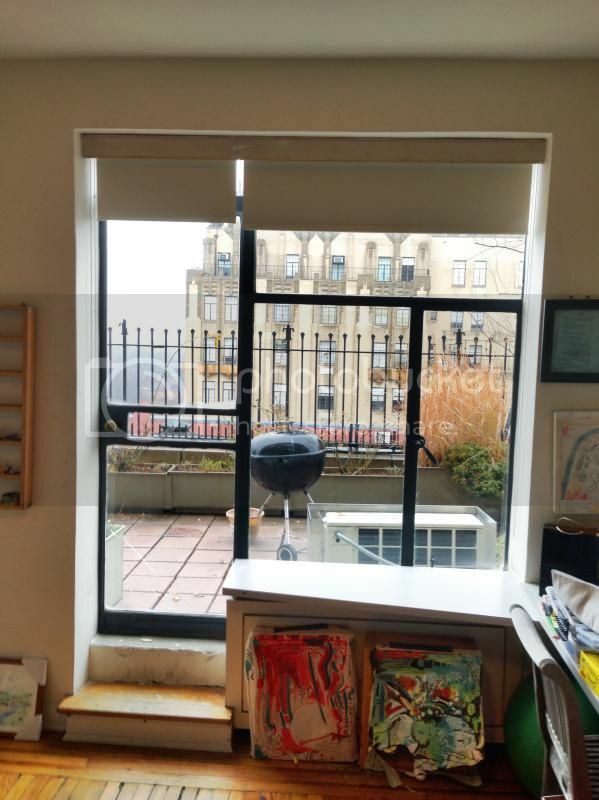 I terms of ‘aesthetics’ this looks fine to me: but we are getting too much light through the top at the arches: so window tinting may be the answer here. Last edited by infoshare; March 30th, 2016 at 07:18 PM. 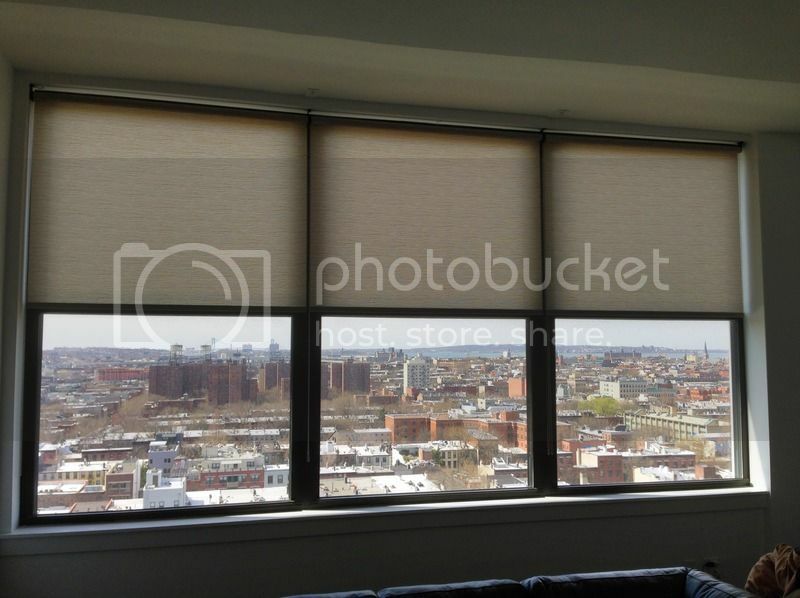 Millions of NYC windows, and thousands of ways to cover them with interesting shades, blinds and curtains. Blackout cellular shades were needed here to provide the required room darkening for this home theater set-up with the projection tv and movie screen. Last edited by infoshare; March 30th, 2016 at 07:17 PM. 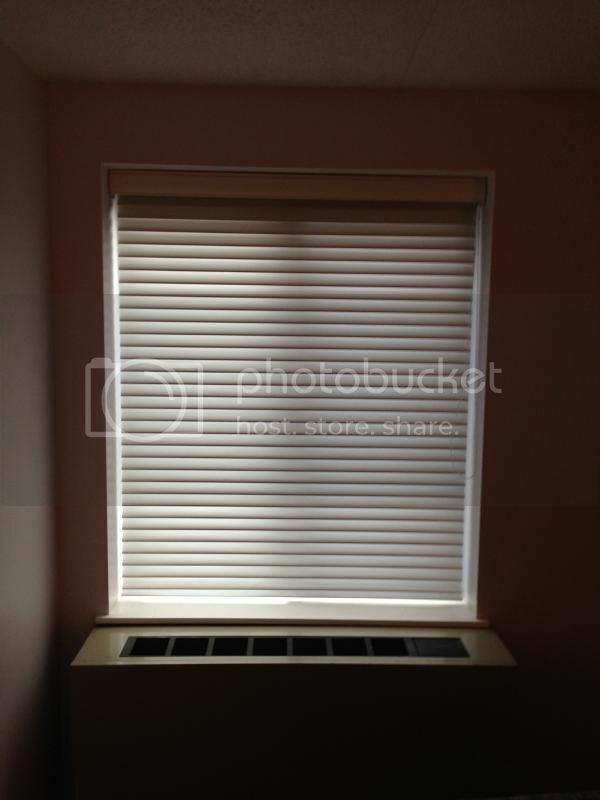 The dangers of corded window blinds: video called "In an instant". 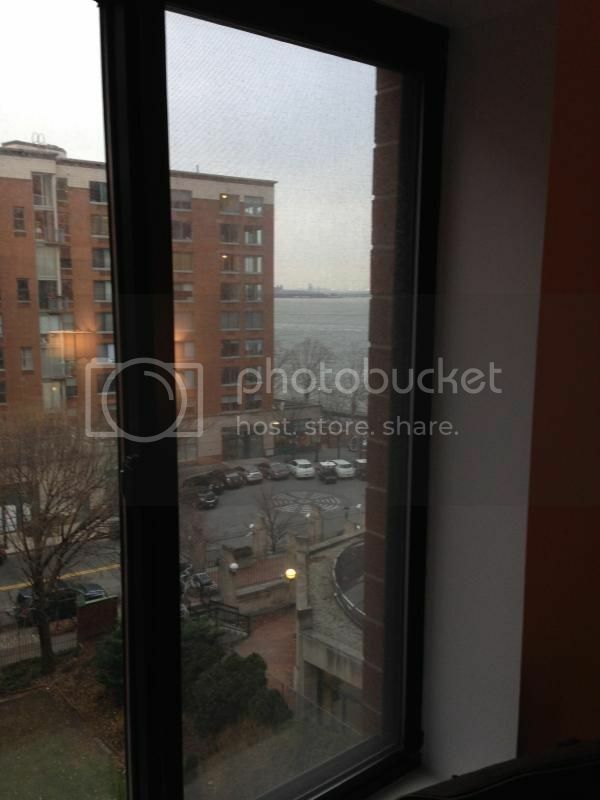 What a view: now you see it - then it's gone. 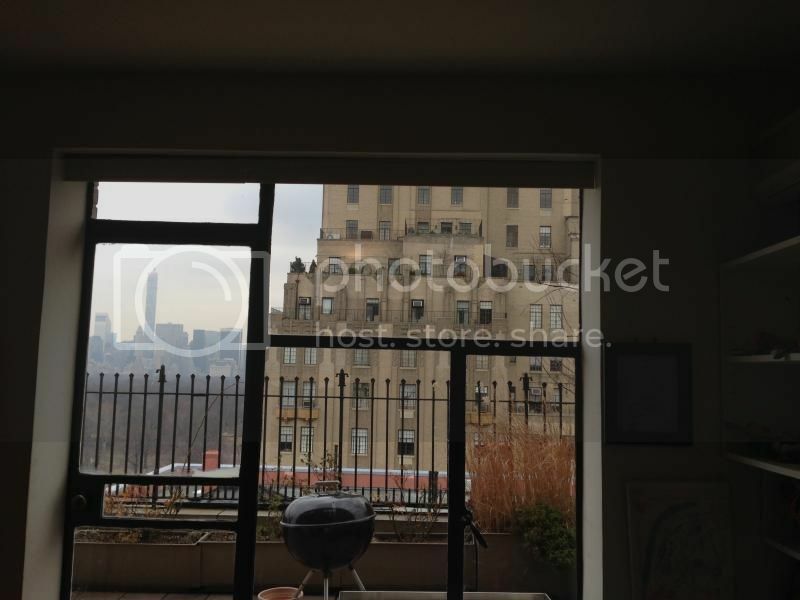 Downtown Brooklyn, one bedroom apartment on Shermerhorn Street: not sure what that view overlooks - but it is a nice vista. 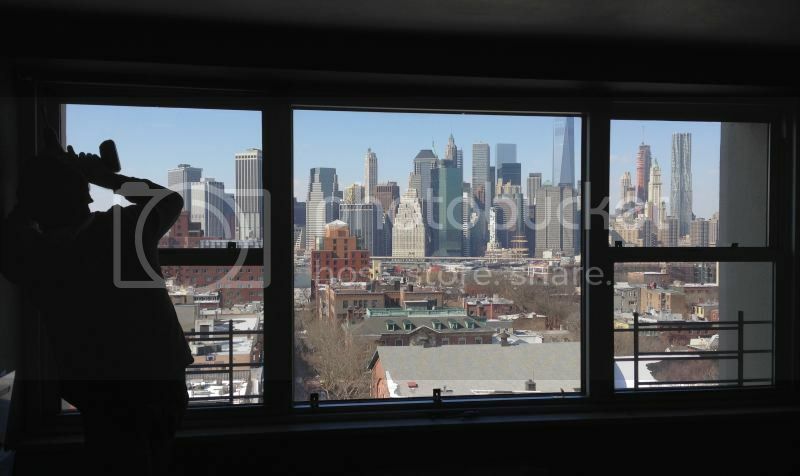 Plenty of good light and good views in this apartment. This shade was the perfect choice; a light filtering fabric that adds color, texture while providing both privacy and light. 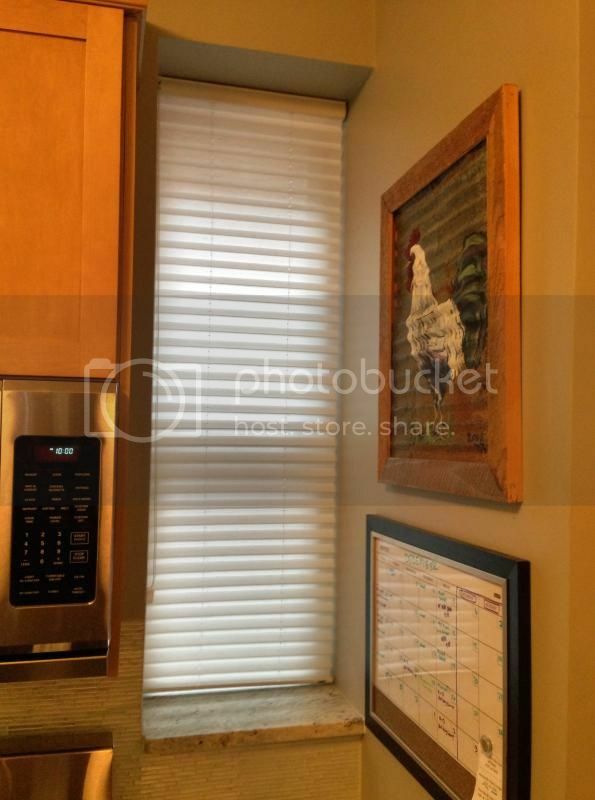 The roller shades open quickly and easily for a full view on the wide open space outside. Last edited by infoshare; March 30th, 2016 at 07:06 PM. 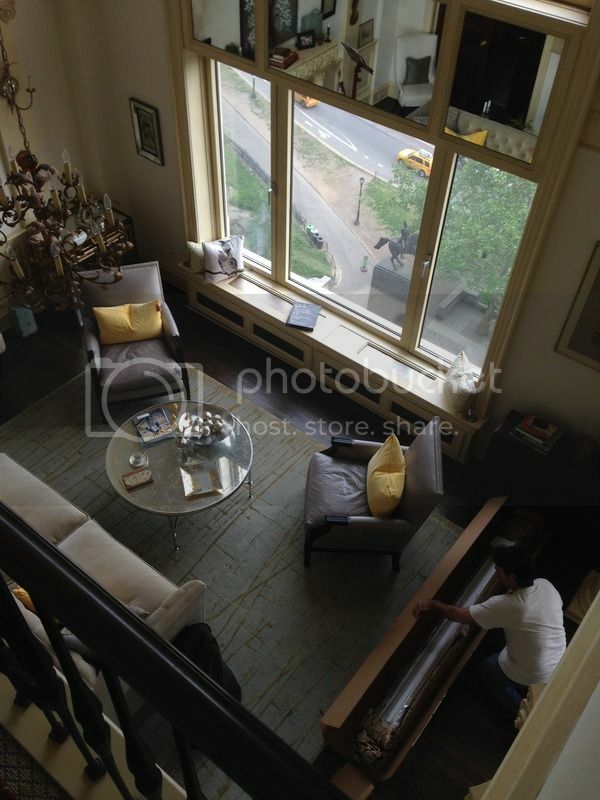 Here we are unpacking new Solar Shades (lower level) for these huge windows on Central Park South. 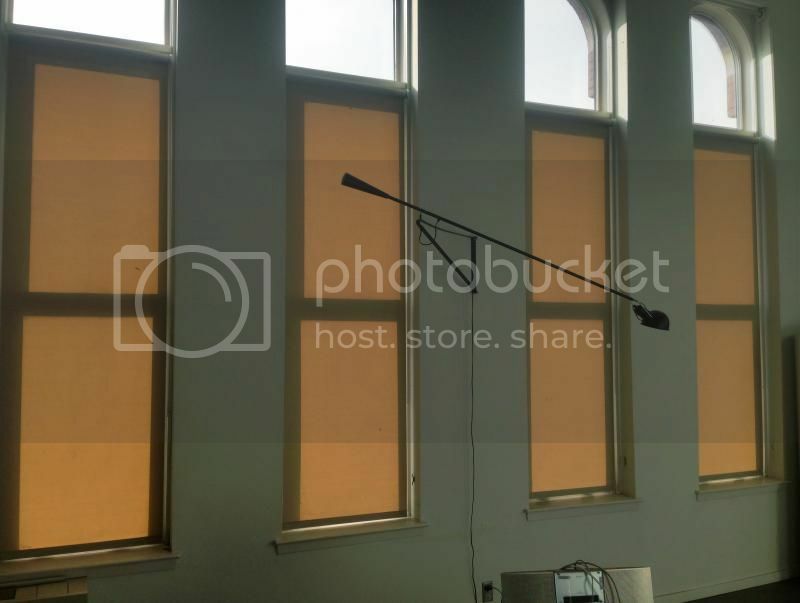 The 10% openness Solar Shades with filter out the suns glare and some of the UV rays which are heating up the interior and ‘bleaching’ out the colors on the rugs and furniture: they will be kept rolled up most of the time for a clear and unobstructed view of the park. Last edited by infoshare; March 30th, 2016 at 07:11 PM.